Neel Kashkari’s colleagues inside the Federal Reserve are finally getting on board with his long held thesis on interest rates. That is pause with the rates hikes and let the economy breathe a bit. A change in tone on rates among Kashkari’s friends at the Fed in recent weeks has reignited the stock market after a disastrous December. “With the muted inflation readings that we’ve seen, we will be patient as we watch to see how the economy evolves,” Fed Chairman Jerome Powell remarked at a Jan. 4 conference. Federal Reserve Vice Chairman Richard Clarida said this week the Fed can be “very patient” with further rate increases. The Dow Jones Industrial Average and S&P 500 are up 3.2% and 4.1%, respectively, this year. Meanwhile, the Nasdaq Composite has led the major indices with a 6% gain. It could be argued that a more hawkish sounding Fed — starting with Powell — sparked the slide in stocks from the October highs. The plunge, which spread through high risk areas of the market such as hot tech names Facebook and Netflix, drew the ire of President Donald Trump on Twitter. 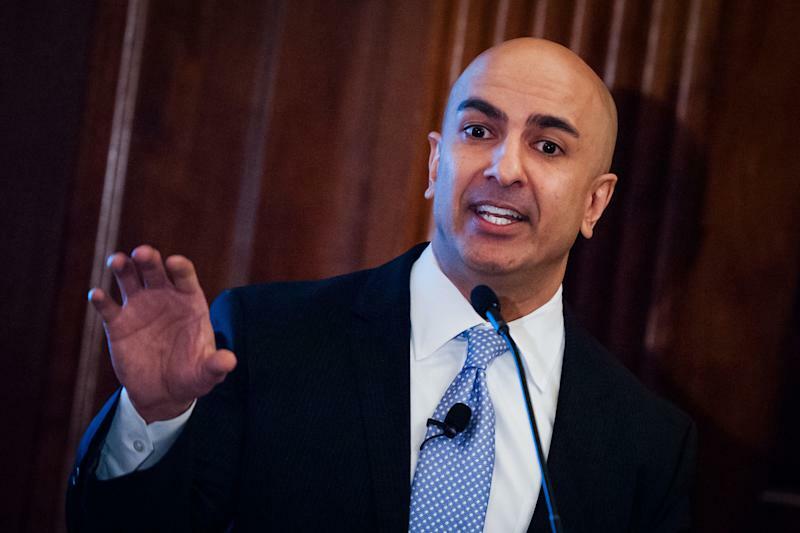 Kashkari said the attacks on the Fed by Trump have not eroded Fed independence and the institution is “totally united” in its focus on studying data and acting accordingly. But like Trump, the Fed is closely watching a stock market still off its October highs. The stock market is signaling a “nervousness” or “cautiousness” of what the future looks like, said Kashkari. Ultimately it’s up to investors to figure out what to do next. Kashkari is known for his work in engineering the TARP program that helped stabilize financial markets during the Great Recession. He is also the author of extensive research on big banks still being too big too fail. Kashkari told Yahoo Finance that while banks have ample liquidity and that no crisis is on the horizon, too big too fail has not yet been solved. The often outspoken Fed member will debate Jason Furman, chair of the Council of Economic Advisers under President Obama, in New York City on Wednesday evening on the topic: "Ten Years After the Global Financial Crisis, the System Is Safer."